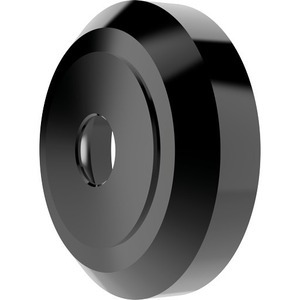 AXIS F8211 Pinhole Trim Ring, sold in packs of 10, enables AXIS F1025 Sensor Unit to be recessed mounted and secured on a glass, plastic or metal panel that has a thickness of no more than 2 mm (1/16 in.). The trim ring's diameter is 2.8 cm (1 1/8 in. ).